The Los Angeles County Sheriff’s Department Civilian Volunteers are dedicated to providing excellent service through relationships that build trust, create a safe environment, and enhance the quality of life in our communities within a “Tradition of Service”. To be proud representatives of the community by being highly visible while on patrol. The primary objectives for the members shall be to prevent crime by mere presence, or identify public hazards. Members shall also act as the eyes and ears of the Sheriff's Department by identifying suspicious activities, crimes in progress, or dangerous circumstances. The members shall not take action themselves, but shall notify the proper authorities for handling. 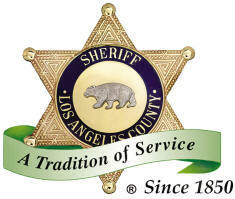 As outlined in the Sheriff’s Mission and Core Values Statement, as well as the Department’s Policy, the goal of the Los Angeles County Sheriff’s Department is to serve the residents of Los Angeles County in the most professional, effective, courteous, and progressive manner possible. This will be accomplished while maintaining a reputation of being an innovative and progressive law enforcement agency that is sincerely concerned about the citizens it serves. The Los Angeles County Sheriff’s Department has long recognized the vast resources of experience and skills possessed by its’ county residents and the surrounding communities. The purpose of volunteers is to tap into these skills to help the Sheriff’s Department achieve its’ goals in an effective and cost-efficient manner. The Los Angeles County Sheriff’s Department views this as a means to assist those that reside in Los Angeles County by providing a service to their community. Because the members of the Volunteer Program become additional eyes and ears for the Sheriff’s Department, as well as representatives of City and County administration, it is imperative that they maintain an image of professionalism at all times which parallels the professionalism of the Department. Volunteers appearance, demeanor, and professionalism must never be compromised while serving in this Program. Each volunteer has been hand picked with the highest confidence in their capabilities. Volunteer members are, in fact, Sheriff’s Department Civilian Volunteers. Therefore, the existing Los Angeles County Sheriff’s Department Civilian Volunteer Regulations and Guidelines shall be followed. Volunteers shall be aware that it is a privilege to be a civilian volunteer, not a right, and they serve at the discretion of the Sheriff. Must live or work within the community. Must not have been convicted of a felony crime. Must not have been convicted of certain misdemeanor crimes. Must have a valid California driver’s license (if licensed out of state, must obtain CDL within 10 days and prior to appointment. Must not be addicted to any legal or illegal substance including alcohol, or prescription drugs. Must not have any physical disability that would create a danger to the volunteer or others while completing tasks. Disabled volunteers could be utilized in specified and designated duties other than patrol. Provide a completed and signed application form. Subject to background or criminal history record check. Contribute a minimum of sixteen (16) hours per month. Attend scheduled, mandatory or emergency meetings. Volunteers On Patrol are community-spirited citizens of the community who provide a minimum of 10 hours of their time per month to assist the Los Angeles County Sheriff’s Department performing non-hazardous patrol duties. It’s participants are made up of working people, retirees, and men and women of all races with varied backgrounds. Volunteers On Patrol can be identified by their white uniform shirt, navy blue trousers and gold on blue shoulder patch. Volunteers’ patrol in white vehicles identified as “Volunteers On Patrol” and bear the LASD emblem. The Volunteers On Patrol have various responsibilities, primarily non-hazardous duties, which have traditionally been performed by patrol deputies. This program; therefore, allows patrol deputies to perform the more hazardous duties that they have been trained to do, thus helping the Department to better achieve its goal of serving the community. All volunteers work in teams of two in conspicuously identified vehicles supplied by the Los Angeles County Sheriff’s Department.